After releasing the first stable version I have received lots of feedback from folks around the world. Most of you guys were positive about the release, except my good old pal: Mike Blackburn. Probably there are not too many E-UAE users are trying to run it on LinuxPPC and one of the reasons is probably: there is no binary distribution. Yet, there are a handful of crazy people... One of them is Mike. I have just discovered that hostcove compiled a nice video of lots of demos running on Amiga X1000. I was too lazy for a power demonstration like this one, so I kindly borrow his work... Enjoy! Big thanks to hostcove for his efforts! 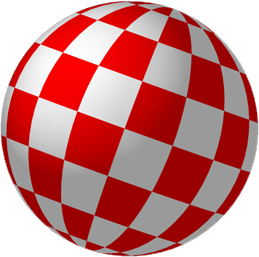 somehow I managed to upload the Beta#4 archive renamed to Beta#5 for the AmigaOS4 package. Yes, yes, my dear friends: we are very close now! This is the final countdown indeed: the last beta before the final release of 1.0. There is something new each day, I haven't done this before: a Fast Follow to the previous beta release. Four is a nice, round number. Power of 2, not too many, not too less. You know, four is referring to many good things, like: the Fantastic Four, 4th of July, AmigaOS4, The Magnificent Four... Err.. Maybe not that, scratch that last one.